The 2016 Ghostbuster reboot…. is good. At this point you have probably just slammed your computer or phone down in outrage, perplexed as to how another critic could have been bought out to say nice things about what is obviously a damnation of your childhood. And I hate to burst your bubble, but I’ve not been paid off nor am I lying through my teeth in order to not sound like I hate feminism. 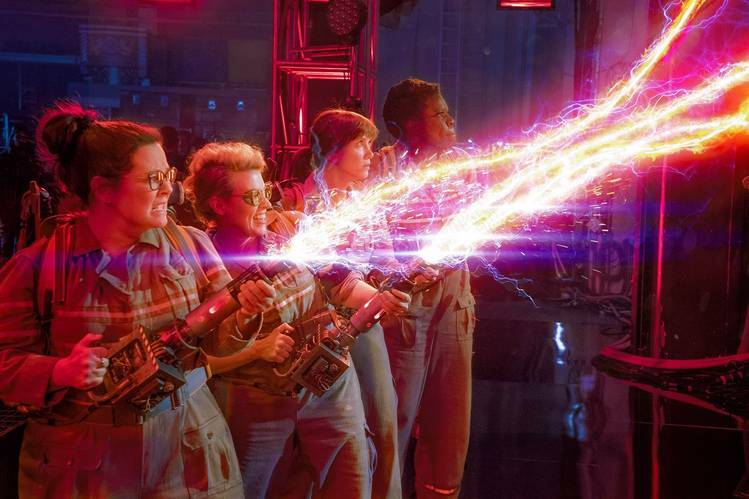 The rebooted Ghostbusters is a fun, if flawed summer blockbuster. 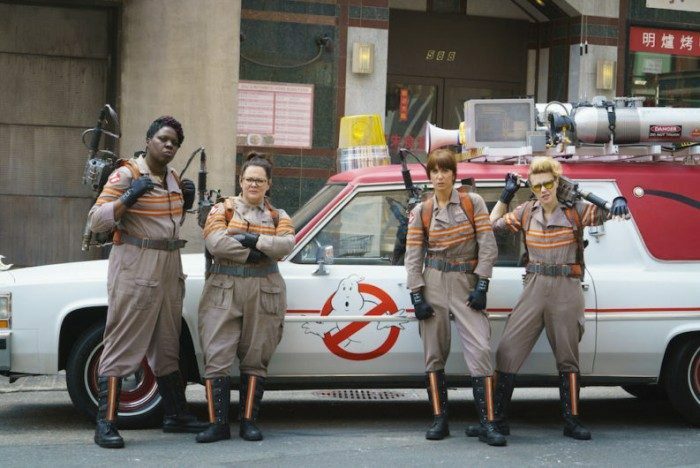 Unfortunately, it suffers from being a reboot of the original 1984 Ghostbusters and not just in the eyes of the fans. It’s impossible to not discuss the anticipated release of this film without mentioning the controversy surrounding it. Ever since its announcement, and especially fueled by a less-than-impressive marketing campaign, this Ghostbusters has been turned into a powder keg of political/gender conflict between Sony, Paul Feig and the Ghostbusters fanbase. The best comparison I can give to this heated feud, oddly enough, is the character of Walter Peck: someone with genuine complaints (testing safety of containment unit vs. questioning necessity of a Ghostbusters remake) with some pretty stupid ones as well (accusing the Ghostbusters as frauds vs. female Ghostbusters= bad) but all said in a damn obnoxious tone. Despite being a guy who grew up with Ghostbusters as merely a hilarious comedy and not a part of my childhood, I can still understand why people would be uncomfortable towards this whole ordeal. After all, what is the point of rebooting something like Ghostbusters, a film seen by many as near-perfection in terms of comedy genius unless the reboot can offer something new that we haven’t seen before? Is it necessary? 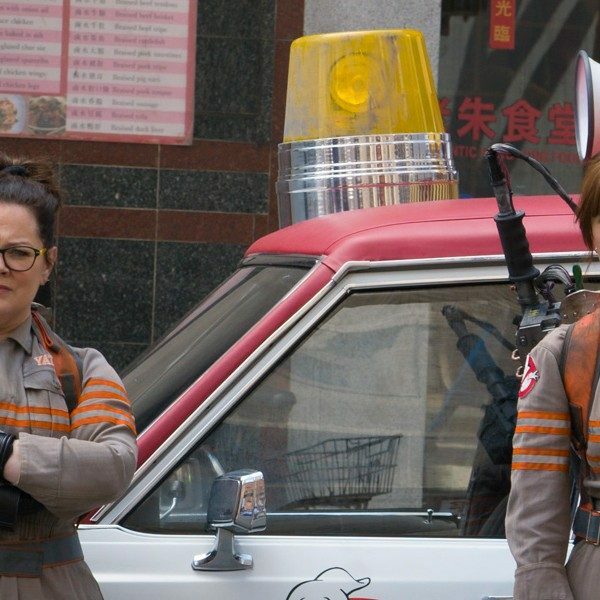 Being a reboot, the plot of Ghostbusters is largely a retreading of the first film, but with a couple of updates and twists to adjust the film into the twenty-first century. Erin Gilbert (Kristen Whig) is a respected teacher at Columbia University, but things go wrong for her when she learns that her old friend Abby Yates (Melissa McCarthy) has published a book that suggests the existence of paranormal phenomenon. Fearing that this book will threaten her academic reputation, Gilbert agrees to go with Yates and her partner Dr. Jillian Holtzmann (Kate McKinnon) to investigate a paranormal appearance. Despite succeeding in proving a ghost’s existence, their data is dismissed as fake and all three are respectively let go. However, further investigation on the matter reveals that someone is using summoning devices to enhance paranormal activity all throughout New York in an attempt to bring about the apocalypse. With the assistance of MTA worker-turned fourth member Patty Tolan (Leslie Jones) and their attractive yet dimwitted receptionist Kevin Beckman (Chris Hemsworth), our band of heroes form the “Ghostbusters” and must protect the planet from the threat of a supernatural/paranormal cataclysm that could end all life as we know it. Basically your standard Ghostbusters plot. 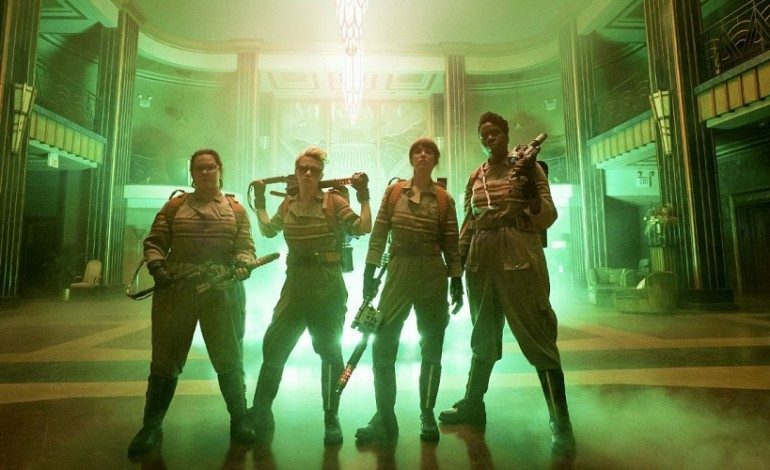 Considering how one of the biggest criticisms made by skeptics was replacing the classic Ghostbusters cast with female actors (some of the funniest in the business, mind you), the biggest question is: how did they do? I’d say they did a great job, as our four main leads definitely share really good chemistry. 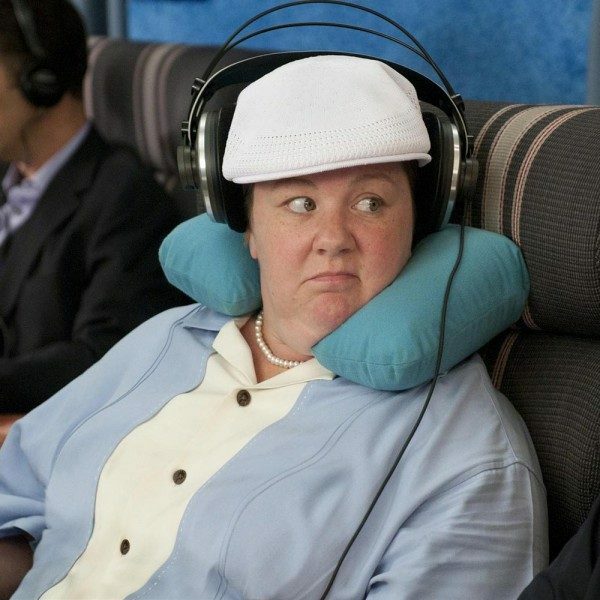 Kristen Whig and Melissa McCarthy do a very good job of bouncing their comedy off of one another, something that shined brightly way back in Bridesmaids and still shows here. Kate McKinnon’s character is weird, but weird in that kooky but kind of awesome way (not to mention badass too.) Leslie Jones had her moments of humor, but didn’t have as many stand-outs scenes in comparison to the other three cast members. However, I did like the way in which they used her character’s knowledge of New York history as means of increasing her role in the story. Granted, it probably doesn’t match up with the bond shared with the original four male Ghostbusters, but you can definitely see that the cast is having a ton of fun among all the zany banter and scientific mumbo-jumbo. And that is worth crediting, because that’s what a Ghostbusters movie is supposed to be: fun. Even though the comedy in this movie never made me grasp my sides in pain from laughing so much, I still got a couple of nice chuckles out the movie. The action, however, was pretty damn cool. The original films used an impressive balance of practical and CGI effects to wow audiences, but thanks to the upgrade in visual effects things look even better now. This not only shows in the more updated versions of the classic proton packs (and the extra proton weapons) but also in the ghosts themselves. While it can be a bit overly heavy on CGI, especially towards the grand-scale ghost battle towards the end, it never disrupts the flow of the narrative. The designs for most of these ghosts and paranormal entities are very creative, with some nice nods to the ghosts of the original series. If there’s one area that the reboot manages to improve upon the original overall, it’s in terms of the graphics and action. But of course you want to know some negatives about this film, and I will freely admit that the movie has its share of flaws. Oddly enough though, most of these flaws stem from the movie’s constant references to its predecessors. The sad fact of the matter is that Ghostbusters is still a reboot of the original Ghostbusters world and thus feels a need to stop every fifteen minutes to remind us about that original film. Whether it be a nod to some original phrases or a cameo from one of the 1984 cast, they are there in abundance, and that kind of makes the film grind to a halt. And unfortunately, these references can be a bit forced in their execution, overdoing the amount of fanfare necessary to please its audience. This does not mean that the reboot is disrespecting the original source material, but it does rely a bit heavily on events and moments from the first film to build its world, and ultimately plays things a bit safe. 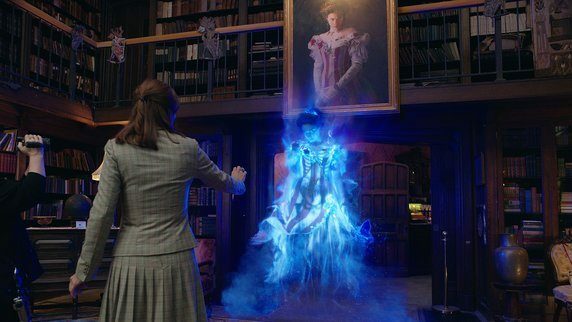 When Ghostbusters is doing its own thing and going on its own path, it’s a lot of fun, but when it looks at the audience and says “remember that film made in 1984?” the pacing gets particle accelerated into a wall. Yes, there was no other reason for Sony and Hollywood to remake Ghostbusters except to sell merchandise real Ghostbusters-style, and if you try to (understandingly) compare it to the original film, you will be disappointed. However, for all the flaws this film has in pacing and overdone references, it is still a fun summer popcorn film on its own merits, exactly like the original Ghostbusters (and, to a lesser degree, Ghostbusters II). No it’s probably not going to end up a comedy classic, but it doesn’t ruin anyone’s childhoods; at its core, this is a decent-good film filled with action, laughs and a few spooks. It just goes to show that, no matter who’s wearing the suits and proton packs, busting still feels pretty damn good.